*Share price is as of the end of July 10. Number of shares issued is as of the end of March 2018. ROE and BPS are based on actual results of the previous term. *Forecast is based on the company's estimate. The company implemented a reverse stock split at 1:5 on October 1, 2017. EPS and DPS adjusted retroactively. This report outlines Seika Corporation, describes its mid-term management vision and plan, and includes the interview with President Sakurai. Under the corporate philosophy "To Contribute to Society Through the Expansion of Business," Seika Corporation sells equipment, devices, etc. and offers services in the fields of electric power, chemistry, energy, industrial machinery, material, and measurement as a general machinery trading company. Its three characteristics and strengths are sales force thoroughly versed in fields, extensive expertise in each business, and a wide network including 70 business bases both inside and outside Japan. In 2017, which was the 70th anniversary of the establishment of Seika Corporation, the company set a long-term management vision for the year 2027 "Envisioned Seika Group 10 years from now" and a new three-year plan "Mid-term Management Plan CS2020," which began in Apr. 2017, and these are ongoing. 【1-1 Corporate history】 In July 1947, after the Pacific War, Mr. Douglas MacArthur, Supreme Commander for the Allied Powers, ordered the dissolution of the old Mitsubishi Corporation with a memorandum. In October 1947, the first president Koji Nakabayashi and staff of the machinery division of Moji Branch played a central role in founding Seika Corporation in Moji-ku, Kitakyushu-shi. The corporate name is derived from "Essence of commerce: To pursue the quintessence of commerce, and offer benefits to others while earning money," "Star company of the west: To aim to become a star enterprise in western Japan," and "China: It may become helpful if the trade with China increases." The company expanded business actively, establishing branches throughout Japan, including Tokyo and Osaka, and an overseas office in Dusseldorf, Germany (old West Germany), where only a few Japanese people resided around that time, in November 1954. The company was listed in the first section of Tokyo Stock Exchange in October 1961. Then, it has grown as a general machinery trading company, by fortifying the sales base mainly in western Japan and establishing footholds in the U.S., Europe, and Asia. In 2017, which was the 70th anniversary of the establishment of Seika Corporation, the company set a long-term management vision for the year 2027 "Envisioned Seika Group 10 years from now" and a new three-year plan "Mid-term Management Plan CS2020," which began in Apr. 2017, and these are ongoing. 【1-2 Corporate philosophy】 Seika Corporation set up the following corporate philosophy and code of conduct. 【1-3 Business contents】 (1) Business segments As a general machinery trading company, Seika Corporation sells machinery, equipment, devices, and ancillary products and offers services in the fields of electric power, chemistry, energy, industrial machinery, material, and measurement. The segments to be reported are "Power Plant," "Chemicals and Energy Plant," "Industrial Machinery," "Advanced Materials and Measuring Instruments," and "Global Business." ① Power Plant The clients of Seika Corporation are electric power companies in western Japan, including The Kansai Electric Power, Kyushu Electric Power, The Chugoku Electric Power, Shikoku Electric Power, branches of Electric Power Development, and joint electric power companies, such as Wakayama Kyodo Power. The company sells industrial power generation equipment, such as boilers and gas turbines, environmental conservation equipment for treating discharged water and exhaust gas, anti-crime and anti-disaster equipment, such as security equipment and fire extinguishing devices, etc. The suppliers include Mitsubishi Hitachi Power Systems (MHPS), which is a joint venture of Mitsubishi Heavy Industries, Ltd. and Hitachi, Ltd. Seika Corporation possesses the distributorship for thermal power generation equipment of MHPS. ② Chemicals and Energy Plant Seika Corporation procures in-house power generation equipment, such as boilers and turbines, environmental conservation equipment for treating discharged water and exhaust gas, and so on from MHPS, etc., and sells them to chemical companies, oil companies, paper-manufacturing companies, steelmakers, and railway companies. In addition, the company procures equipment for manufacturing chemical products, etc. from Japanese manufacturers and sells them. ③ Industrial Machinery Seika Corporation provides clients in a broad range of industries with textile equipment, food processing equipment, brewing equipment, plant machinery, liquid crystal-related equipment, environment-related apparatus, uninterruptible power systems (UPS), etc. produced by Japanese manufacturers, and offers maintenance services. Recently, the sales of lithium ion battery-related equipment for electric vehicles (EV) in China have been growing considerably. ④ Advanced Materials and Measuring Instruments Seika Corporation sells equipment for manufacturing printed circuit boards for electronic devices, etc. to mainly Japanese electric appliance manufacturers, and delivers advanced technology-based measurement devices, such as laser measurement apparatus and pore size measurement devices, to public offices and research institutes. The company also handles a wide array of products, including measurement devices of industrial machinery for environmental conservation and equipment for water treatment. Products are procured mainly from overseas manufacturers. 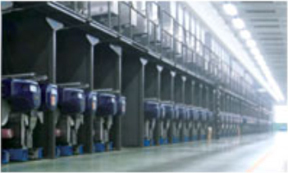 ⑤ Global Business (Europe) While selling industrial robots to in-vehicle device manufacturers, Seika Corporation sells and leases submersible pumps used in construction, etc. These products are procured mainly from Japanese manufacturers. (North America) The company sells equipment for mounting elements on electronic circuit boards produced by Japanese manufacturers to automotive-related clients affiliated with Japanese companies. (Asia) The company sells machinery and equipment produced by Japanese manufacturers to companies in textile, chemical, and other general industries, procures raw materials outside Japan and sells them to textile manufacturers. (2) Sales in each region Domestic sales account for over 80%, but the acceleration of global business expansion is included in the mid-term management plan CS2020 as a company-wide strategy, and the company aims to raise the ratio of overseas sales. 【1-4 Characteristics and strengths】 The three characteristics and strengths of Seika Corporation are sales force thoroughly versed in fields, extensive expertise in each business, and a wide network including 70 business bases both inside and outside Japan. For details, see "3. Interview with President Sakurai." 【1-5 ROE analysis】 Seika Corporation is still unable to keep ROE over 8%, which is required for Japanese enterprises as indicated by Ito Report, etc. Since leverage is relatively high, profit rate is expected to improve. 【1-6 Efforts for ESG】 <E: Environment> The environmental policy of the company is to "make efforts to conserve and improve the earth environment and contribute to the actualization of a sustainable society." Under this policy, the company obtained the ISO14001 certificate in 2005, and is promoting environmentally-friendly products. The environmentally friendly products handled by the company are diverse, including equipment for treating exhaust gas from boilers and incinerators and equipment for collecting organic solvents for chemical and semiconductor factories. The amount of orders in the term ended Mar. 2018 was about 76 billion yen, as mentioned below. The company will continue to contribute to the conservation of the earth environment through business activities, not merely from the viewpoint of social contribution. <S: Social responsibility> To fulfill its "social responsibility," Seika Corporation engages in work-style reforms as follows. "Empowerment of women" To recruit more women in the main career track To support female employees in developing their careers To appoint female managers "Enhancement of health of employees" To adopt Premium Friday (used by 21% of employees) To promote the use of paid holidays The company bears the expense for cancer screening (tumor marker option) in a health checkup "Personnel development" Training at each level Overseas training system <G: Governance> The website of the company discloses the activities for each item of the Corporate Governance Code. In the term ended Mar. 2018, "the effectiveness of the board of directors was evaluated," and the board of directors established the "committee for selecting the president and others," which is composed of outside directors and auditors, as an arbitrary system. The company translated some convocation notices into English, and produced a fact book in English. In order to grow sustainably and improve its corporate value in the medium/long term, the company will strive to strengthen corporate governance, and pursue a sound, transparent management system. 【1-7 Shareholder return】 The primary managerial mission of the company is to return profit to shareholders, and its basic policy is stable dividend payment. Through the efficient business operation from the marketing and financial aspects, the company aims to fortify the management base. While dealing with the demand for funds for developing new businesses, etc., the company plans to achieve a consolidated payout ratio of 35%. For the term ending Mar. 2019, the company plans to pay an interim dividend of 25 yen/share and a term-end dividend of 30 yen/share, that is, a total of 55 yen/share, and the estimated payout ratio is 31.6%. The company will actively return profit to shareholders while comprehensively considering the dividend policy, full-year results, etc. (1) Fiscal Year March 2018 Earnings Results Sales grew, while profit declined. Sales increased 9.8% year on year to 165.5 billion yen. The performance of the industrial machinery and global businesses was healthy. Operating income dropped 14.7% year on year to 2.5 billion yen. Only the industrial machinery business saw an increase in profit. Gross profit decreased, and SGA augmented due to the effect of allowance for doubtful accounts of overseas subsidiaries, and this was not offset. Net income dropped 22.7% year on year to 1.6 billion yen. The company sold some strategically held shares and consequently posted gain on sale of investment securities as extraordinary income, but some subsidiaries in Japan posted impairment loss as extraordinary loss. Neither sales nor profit reached the initial estimate, but both sales and profit exceeded the revised forecast. ① Power Plant Sales and profit dropped. The delivery of large repair parts for power generation equipment and regular inspections to electric power companies declined. 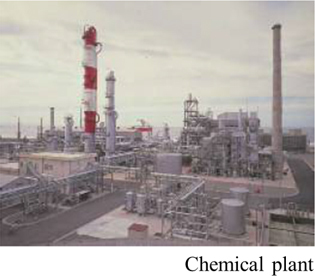 ② Chemicals and Energy Plant Sales and profit declined. The performance of the subsidiary Shikishimakiki Co. was healthy, but the number of new power generation equipment in the general industry and regular inspections for power generation enterprises dropped. ③ Industrial Machinery Sales and profit grew. The company sold power generation equipment to new power generation companies at about 26 billion yen, and the delivery of lithium-ion battery-related equipment was healthy. The performance of the subsidiary Nippon Daiya Valve also contributed. ④ Advanced Materials and Measuring Instruments Sales decreased, and loss augmented. The delivery of materials for printed circuit boards and video/measurement devices of subsidiaries declined. The performance of subsidiaries that undertake the processing of tempered glass for displays and sell processing equipment for them was sluggish. ⑤ Global Business Sales grew, but loss was posted. Sales increased, because the submersible pump business of European subsidiaries and the board mounting business of U.S. subsidiaries were healthy. However, the company incurred loss, due to the effect of provision of allowance for doubtful accounts through the trade of raw materials for textiles by Chinese subsidiaries and the delay in the manufacturing of printed circuit boards and the commencement of mass production by subsidiaries in Thailand. (2) Fiscal Year March 2019 Earnings Estimates Sales and profit estimated to grow Sales are estimated to grow 5.7% year on year to 175 billion yen. It is expected that the chemicals and energy plant business will recover significantly, and the advanced materials and measuring instruments business will see sales growth. Operating income is projected to rise 19.3% year on year to 3.1 billion yen. Performance is forecasted to recover from the second half. The dividend amount is to be 55 yen/share, unchanged from the previous term, and the estimated payout ratio is 31.6%. ① Power Plant Sales are estimated to drop. Coal-fired power generation, which is the specialty of Seika Corporation, is under an unfavorable environment, but the company will keep concentrating on work for the resumption of operation of nuclear power generation, anti-terrorism measures, etc. The company will dispatch more personnel to the Hokkaido area than before. Sales are estimated to decline, but stable performance is expected. 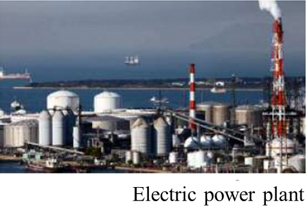 ② Chemicals and Energy Plant Sales are projected to grow. The company plans to deliver coke-based power generation equipment to an oil company at about 26 billion yen. The company also engages in negotiations related to renewable energy, including biomass one, and chemical plants outside Japan. These may produce some good results in the future. ③ Industrial Machinery Sales are forecasted to decline. There will be no delivery of large-scale power generation equipment like in the previous term, but the sales of lithium ion battery-related equipment are estimated to increase over 10 billion yen to about 20 billion yen. The performance of other industrial machinery and equipment is projected to be unchanged from the previous term. To achieve the sales at the same level as the previous term, the company will actively negotiate for selling lithium ion battery-related equipment, automation equipment, and so on. ④ Advanced Materials and Measuring Instruments Sales are estimated to rise. The company expects the delivery of printed circuit boards and measurement devices, and the recovery of performance of subsidiaries. ⑤ Global Business Sales are projected to increase. The performance of subsidiaries that sell equipment and devices in Europe, the U.S., and Thailand is estimated to remain healthy from the previous term. The influence of the sluggish performance of Chinese subsidiaries, the posting of allowance for doubtful accounts due to the bankruptcy of business partners, the delay in the manufacturing of printed circuit boards and the commencement of mass-production by distributors in Thailand, etc. in the previous term is subsiding, and so the company expects favorable results from the next term. (3) Topics: Regarding lithium ion battery-related equipment Since the start of activities in 2015, the company has been marketing equipment for manufacturing separators, positive and negative electrodes, etc., which constitute mainly lithium ion batteries. It is estimated that sales will grow steadily and reach 20 billion yen this term. In addition to conventional equipment for manufacturing separators, positive and negative electrodes, etc., Seika Corporation has started handling equipment for producing battery packs, equipment for assembling an EV, raw materials, and so on. It has been reported that the Chinese EV industry is already mounted with an excessive amount of production equipment, but the number of inquiries to the company has not declined, and its clients are now not only from Beijing, Shanghai, Suzhou, and Shenzhen, but also local cities, such as Hefei, Chongqing, and Chengdu. The company will increase personnel, further cultivate the Chinese EV market and strive to expand revenue. (1) Outline of the mid-term management vision and plan Seika Corporation formulated a long-term management vision for the year 2027 "Envisioned Seika Group 10 years from now" and a new three-year plan "Mid-term Management Plan CS2020," which was started in Apr. 2017. ① Long-term management vision: "Envisioned Seika Group 10 years from now" *Objective The year 2017 was a turning point, commemorating the 70th anniversary of the establishment of Seika Corporation, and the company set a long-term management vision "Envisioned Seika Group 10 years from now," in addition to a mid-term management plan, which had been formulated every three years, in order to clarify the ideal path of the Seika group from the long-term viewpoint and realize drastic reform involving all employees. *Overview The following long-term policies have been set for actualizing the envisioned group. ② Mid-term management plan CS2020 *Overview Envisioning "Seika Group 10 years from now," the company considers a period from Apr. 2017 to Mar. 2020 as the first step, and implement the "mid-term management plan CS2020." *Basic policy "reform and evolution" The previous mid-term management plan CS2017's basic policy "Diversification of business domains" is an important issue to be addressed for the Seika group, but in order to proceed with it, it is indispensable to reform its business model and evolve conventional businesses. Accordingly, "reform and evolution" has been set as the basic policy of the "mid-term management plan CS2020." The initial management indicators are as tabulated above. The result in the term ended Mar. 2018 was 1.65 billion yen. It is considered that the major factors in the failure to attain the goal are temporary ones, such as extraordinary loss in subsidiaries. For the term ending Mar. 2019, which is the second year of the mid-term plan, the goal is 2.4 billion yen, while the estimate is 2.2 billion yen. In each segment, the company plans to implement measures surely and speedily to attain goals. (2) Activities in the 2nd year of the "mid-term management plan CS2020" For the company-wide strategies in the 2nd year, the company will "develop new business models," "evolve existing businesses," "streamline group management and accelerate global strategies," and "develop personnel and enrich the working environment." ① "Development of new business models" As a new business, the company established Meinan Kyodo Energy Co., Ltd. in Chita-shi, Aichi Prefecture for the purpose of supplying steam and electricity, and its operation began in Feb. 2018 as scheduled. It launched IoT-related projects and those for biomass fuel business. In order to keep "diversifying business domains," the company will invest managerial resources into the growing fields actively. ② "Evolution of existing businesses" In the electric power business, the company started distributing electricity and operating business in overseas markets, in addition to the existing power generation domain. In the industrial machinery business, it is expected that there will be significant demand for uninterruptible power systems (UPS), which have been sold, for data centers, etc. Accordingly, the company established a service-offering foothold in Higashi-Hiroshima in Jun. 2018, to strengthen its sales system. The company will keep responding to the business environment flexibly to expand revenue. ③ "Streamlining of group management and acceleration of global strategies" In Apr. 2017, the Seika Corporation established the strategy headquarters for affiliates, to improve the systems for managing and supporting affiliates inside and outside Japan. This term, the company will plan the establishment of new footholds in Europe and Asia, etc. for expanding revenue. The company will aim to enhance the earning capacity of the group, by taking full advantage of the characteristics and strengths of each group company and exerting synergetic effects. ④ "Personnel development and enrichment of the working environment" The company will concentrate on multilevel training and overseas training systems, in order to adapt to reform and evolution, and develop personnel who can flourish inside and outside Japan. In addition, the company will strive to enrich the attractive working environment where employees can work vigorously. We interviewed President Akihiko Sakurai, who became the 11th president of Seika Corporation in April 2018, about his own missions, the strengths and characteristics of Seika Corporation, and messages to shareholders and investors. Q: "What do you think are your own missions as new president?" A: "I have recognized improvement of corporate value while forging a stronger relationship of trust with all stakeholders including shareholders, creation of an environment for realizing the dreams of employees, and review of the fundamental concept of our business to be my important roles as president." Our company, which marked the 70th anniversary in 2017, must continue to cement the relationship of trust with all stakeholders, including shareholders, and improve the corporate value, as well as raise revenue as a company listed in the first section of the Tokyo Stock Exchange. I have recognized the aforementioned as the first mission that I should accomplish. My second mission is to create an environment for our employees. Our company considers that "realization of the dreams of the employees through our company will lead to the growth of our company itself." Thus, our company checks what their dreams are all the time by communicating with them. Three elements necessary for realizing employees' dreams include "sound business management," "open and transparent corporate ground," and "safe working environment; that is, stable profitability." I have considered that it is also my crucial role to develop the abovementioned three points. Furthermore, we must work on reviewing the fundamental concept of our business in order to achieve sustainable growth. Our company, as a trading company specializing in machines, has been supported for over 70 years by numerous customers in a multitude of industries. In respect of business, we must ask ourselves whether it is possible for us to continue thriving with our conventional commission business, in which we purchase and sell products, for an additional 20 or 30 years. Although our company is capable of earning immediate profit in each business through individual strategies, taking the 100th anniversary into account, we need to come up with ideas and take action at higher and different dimensions than the current ones. With that in mind, I have been sending messages within our company, trying to make the employees be always conscious and prepared. Q: "Please tell us about your thoughts regarding your company's strengths and characteristics. In addition, would you please tell us about the efforts your company is making to enhance the strong points and features?" A: "The strengths and characteristics of our company include the following 3 points: the sales force thoroughly versed in fields, extensive expertise in each business, and a wide network including 70 business bases both inside and outside Japan." Our company's first strength is the sales force versed in fields, which have been cultivated through our history of 70 years. Establishment of relationships of trust via meticulous and careful customer services and formation of personal connections has allowed our company to stably receive orders. The second characteristic is the considerable expertise in each business. While some people say that trading companies are middlemen, our company has garnered excellent reputation as an essential business partner having great expertise, such as profound capabilities of information collection and abilities of proposal that stays one step ahead of customers. The vast network, including 70 business bases both inside and outside Japan, is our company's third strong point. Our company had only about 30 bases 10 years ago but has been rapidly increasing the number of business bases mainly in Europe and Southeast Asia in anticipation of globalization. We would like to prove a higher existence value of our company by efficiently using the speed and comprehensiveness of information further improved thanks to the network. In our company, employees are educated and trained primarily through on-the-job training programs, in which workers with more working experiences and superiors educate those with fewer years of service, mainly necessary basic knowledge and know-how. Our company also focuses on various seminars for each level and overseas training programs. Furthermore, these days, we have asked former workers at manufacturers or our client companies for consulting and support for the employees working in the sales field. Advice given by them has made our company's expertise more extensive, providing a valuable fighting power. Q: "Next, please tell us about the important points of the "Envisioned Seika Group 10 years from now" and "Medium-Term Management Plan CS2020." A: "It is the 'Medium-Term Management Plan CS2020' that will be the first step to creating a ground for being a global corporate group by adapting to the changing business environment and propelling innovation and evolution of our business model. Our company will strive to embody the group vision via bold ideas and more in-depth approaches while moving forward to the second and third steps." Traditionally, our company mainly formulated three-year medium-term management plans and did not set up any specific long-term plans; however, looking back at our history of 70 years, we have considered that it will be necessary to build up 10-year plans, not to accumulate plans every 3 years, in order to move toward the coming 100th year. As mentioned in "Envisioned Seika Group 10 years from now" and the "long-term management policy," our company must adapt to changes in the business environment, propel innovation and evolution of our business model, and make a global corporate group. Looking ahead to the "Seika Group 10 years from now," the first step to creating a corporate ground is the "Medium-Term Management Plan CS2020" whose goals are to develop a new business model and evolve the conventional businesses in an overall strategy. The main subject of the Medium-Term Management Plan CS2020, however, is basically to relay the previous medium-term plan, and true innovation requires bold ideas and more in-depth approaches; therefore, our company will strive to embody the group vision while moving toward the second and third steps. To begin with, we will lay groundwork in the "Medium-Term Management Plan CS2020." Q: "What are your expectations in your company's immediate business, and new efforts?" A: "I have expected that equipment for manufacturing parts for lithium ion batteries used in electronic vehicles (EV) will lead to ample business opportunities. In addition, our company has started proactive efforts at Internet of Things (IoT)." In 2015, our company launched a manufacturing equipment business of separators, and anode and cathode materials that are components of mainly lithium-ion batteries used in EV, and it is showing a steady growth. Furthermore, regarding EV that has led not only to profit but also to expansion of the product lineup and customer base, there are numerous fields in which we can take advantage of our experience, such as "Smart Grid" for optimal electricity placement, and thus, I have expected that future commercial opportunities are significant. In addition, our company is putting forward proactive efforts at introduction of IoT. Our company has drawn up an internal program called "Project Subsidization." This program allows each department, twice a year, to apply for the launch of a new project and secure a budget for the applied project independently of the initial budget even in the middle of a fiscal year if the project is promising. It was begun 5 years ago in an attempt to facilitate "innovation and evolution," and a project that provides fault diagnoses of machines using IoT was initiated via this subsidization program. A demonstration machine has been completed following a software development in cooperation with a manufacturer, installation into the machine, and verification, and is now in a stage of exploring feedback from users by displaying it at an exhibition in the near future. If everything goes well, our company will fully start selling the machine in the early autumn. With various factors, including a shortage of engineers and the work style reform as tailwinds, the needs for using IoT from both manufacturers and customers are strong, and therefore our company will work on it in a swift manner. Q: "Finally, please give messages to shareholders and investors." A: "Our company unites and goes forward, pursuing the 10-year group vision. We would like to ask shareholders and investors to support our company from medium- and long-term perspectives." It has been about 60 years since our company got listed in the first section of the Tokyo Stock Exchange in 1961, but we have not successfully conveyed our company's ideas and visions as a listed company to stakeholders, including shareholders and investors. From now onward, we will express our thoughts and messages more passionately than ever before in order to deepen understanding of our company. The business environment is changing at a dizzying pace and the global competition is intensifying; however, our company will unite and strive with the aim of achieving the 10-year vision of a company that "adapts to the changing business environment and makes a global corporate group with a sound business foundation; in addition, each one of the employees at the group companies is kindled with a pioneering spirit, feels rewarding at their respective companies, and is full of vitality and realizes their own growth." We would like all the stakeholders to become fans of our company who provide support for us from medium- and long-term perspectives. This report is intended solely for information purposes, and is not intended as a solicitation for investment. The information and opinions contained within this report are provided by our company based on data made publicly available, and the information within this report comes from sources that we judge to be reliable. However, we cannot wholly guarantee the accuracy or completeness of the data. This report is not a guarantee of the accuracy, completeness or validity of said information and opinions, nor do we bear any responsibility for the same. All rights pertaining to this report belong to Investment Bridge Co., Ltd., which may change the contents thereof at any time without prior notice. All investment decisions are the responsibility of the individual and should be made only after proper consideration.